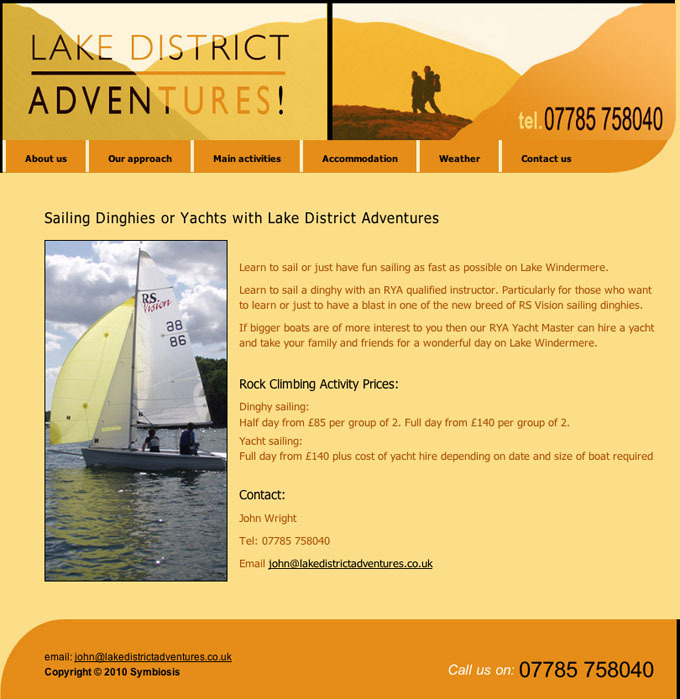 Lake District Adventures offers outdoor activities and adventure programmes for families, adult accompanied children, and groups of friends and colleagues looking for an adventure holiday with a difference. We designed the site using the corporate colour scheme of the client's main company, Symbiosis Learning and Development, as used in his company newsletters and business cards. We created separate pages for each of the principal activities on offer to maximise results potential on the search engines.